The latest profile in Lycette Designs’ Women on Point series is of Alli Eagan. 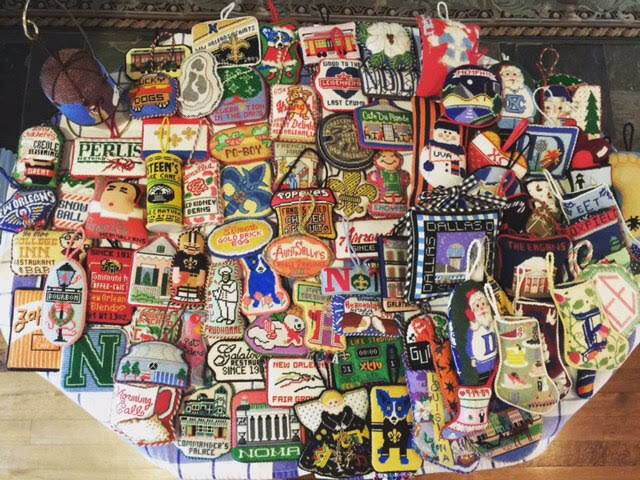 She’s been stitching since she was a girl and has, as you can see, a huge collection of New Orleans-themed needlepoint ornaments (New Orleans is her husband’s home town). Plus there are links throughout leading you to places to buy many of the canvases featured. Catch the whole profile here, you’ll love it! The ANG Online at Seminar Auction will have several of Alli’s ornaments, stitched and finished in it! (ANG.afrogs.org) How exciting to see this and know something about the designer of these NOLA themed pieces! Thank you for sharing this with us. Thanks Cathe, I’ll be looking for them.